In a world where Michael Keane costs £30m and Harry Maguire nearly £20m, £26m for a PSG star with multiple caps for Argentina is a bargain. Javier Pastore has fallen down the pecking order in the French capital, due solely to the fact Neymar and Kylian Mbappe arrived in the summer to form a jaw-dropping front-three with Edinson Cavani. So far, they’ve bulldozed nearly every side they’ve come up against in Ligue 1 and the Champions League and Pastore’s chances of getting back in the first-team look slim. This is not really a reflection on him. Lucas Moura, Angel di Maria and Julian Draxler are not automatic starters either! 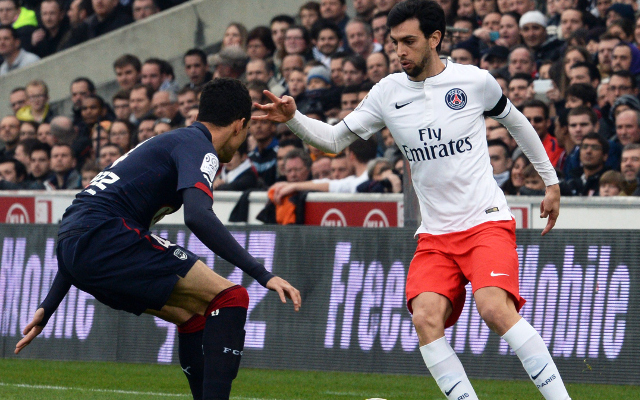 El Gol Digital, translated by talkSPORT are claiming that Pastore will be made available for just £26m in January and that Liverpool and Chelsea are two of the clubs interested. The 28-year-old is a terrific player, but he’s not really what we need. He’s a creator – but Liverpool need those who either stop goals going in or score them at the other end. In Coutinho and the returning Adam Lallana, we have central playmakers who already thrive between the lines Pastore operates. Liverpool need a centre-back and a centre-forward, not another luxury player.